Accurate shooting begins with choosing the right ammo for your airgun. 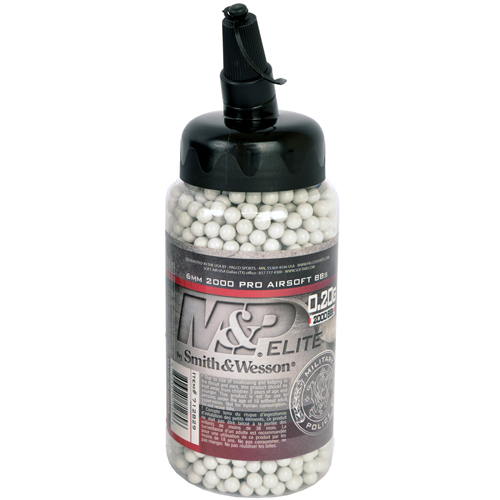 The S&W M&P Pro .20g Airsoft BBs are an ideal choice for most airgun types, including AEGS. They have been precision manufactured to prevent against chipping and surface damage. The BBs are smooth and spherical, improving the overall speed and accuracy of your shot. This bottle contains 2,000 rounds.